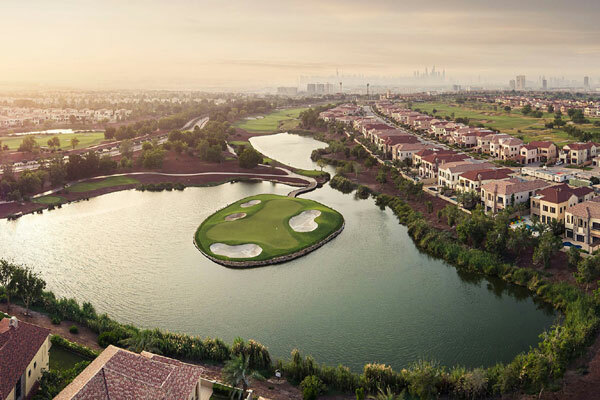 Jumeirah Golf Estates, a world-class residential golf destination offering luxury homes and leisure facilities among two internationally-acclaimed championship golf courses in Dubai, has launched a special offer on its Alandalus and Redwood Park residences as it prepares to host the 10th DP World Tour Championship (DPWTC) from November 15-18. The offer is in response to significant interest from buyers and extremely positive response to market research conducted by the developer during Cityscape Global. For Alandalus, buyers can benefit from a flexible plan that would see them paying 5 per cent on booking and 25 per cent during construction, with the balance spread across a four-year period post-handover. Buyers of Redwood Park, which is now ready to move in, can look at the plan, enabling them to forward plan payments into the future with an attractive offer during the week of the DP World Tour Championship that would see them pay only 5 per cent on booking, 15 per cent on handover, and settle the remaining across four years post-handover. Buyers in both developments can also enjoy a 100 per cent waiver on Dubai Land Department fees. Yousuf Kazim, CEO of Jumeirah Golf Estates, said: "The DP World Tour Championship is our flagship event and the season finale of professional golf’s European Tour. It’s a perfect opportunity for us to celebrate our position as the region’s leading golf and residential community by showcasing Jumeirah Golf Estates to local and international investors and residents. JGE encompasses two Greg Norman-designed Championship layouts in the Earth and Fire courses. The Earth course has been the permanent home of the DPWTC, Dubai for the last nine years. Designed to offer a state-of-the-art outdoor living that combines luxury, Andalusian-inspired living with affordable prices, Alandalus offers 715 apartments, 95 townhouses, a mosque, a hotel, and a community retail centre, making this a complete, integrated community.